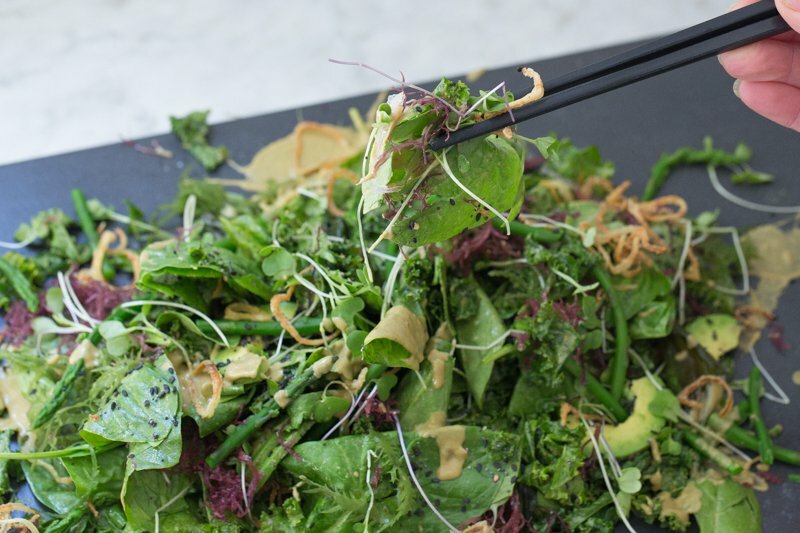 Make the salad dressing by adding the ginger, wasabi, vinegar and soy suace to a blander and whizz. 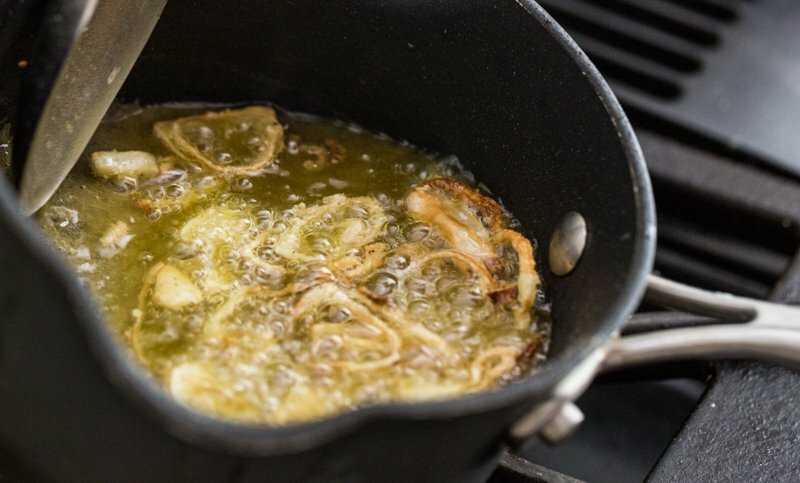 Add the oils in a slow, steady stream with the motor running on low. Taste and adjust the seasoning. The squeeze of citrus should really take it over the top!